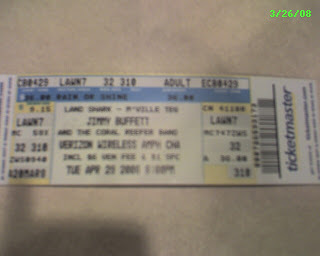 The magical Jimmy Buffett tickets for Raleigh, NC. On the John Deere Lawn no less. How perfect of an advertisement is that, the John Deere Lawn! Can you imagine the load on Ticketmaster's servers when the tickets went on sale? Wow!